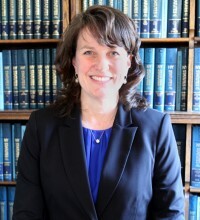 Elizabeth E. Little | Glens Falls, New York Real Estate, Wills & Estates & Zoning-Environmental Attorneys - Little, O'Connor & Borie, P.C. Ms. Little joined Little, O’Connor & Borie, P.C., as of counsel in 2003. Ms. Little concentrates in general civil litigation and residential real estate. Ms. Little was born and raised in Glens Falls, New York and currently lives in Glens Falls with her husband and four children.